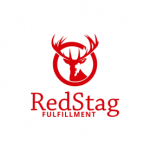 Red Stag Fulfillment is a US-based order fulfillment service that combines a cloud-based fulfillment software with a detailed operations process to take care of a user’s clients’ logistic needs. It specializes in shipments over five pounds and claims to have a 48-hour dock to stock time. In this article, we cover user reviews. Ready to get started with Red Stag Fulfillment? Get a free trial. Users who gave Red Stag Fulfillment a positive review recommends the platform for those with fragile and high-valued goods. Others said that the service does well in handling products that require light assembly and customization before shipment. One user who gave Red Stag Fulfillment a positive rating on WebRetailer mentioned that the service is the best US-based fulfillment option his company has used. It does exactly what it says it will do, on time, and with no delay. He also appreciates the fact that ever since they transitioned to using Red Stag Fulfillment, he has never had to deal with issues of broken and damaged items. As of the date this article was written (11/02/18), there are no negative reviews of Red Stag Fulfillment available online. If you are a past or current Red Stag customer, leave a review to help other business owners who are deciding whether or not to use Red Stag. Red Stag doesn’t publish their prices on their website, but based on our research, they charge a $13.25 receiving fee per pallet. Storage fees range from $3.75 per month to $15 per month, depending on pallet size. Ready to get started with Red Stag Fulfillment? Get a free trial. Order Fulfillment Services: Who’s The Best Fulfillment Company? — In this guide, we compared the services of four fulfillment companies: ShipBob, FulfillmentCompanies.net, Red Stag Fulfillment, and Fulfillment by Amazon, and showed you how to assess your business’ fulfillment needs to find the right fit. Who uses Red Stag Fulfillment? Red Stag Fulfillment is most currently used by small to large-sized eCommerce businesses, particularly those who need to ship fragile and high-valued goods. What level of support does Red Stag Fulfillment offer? Red Stag Fulfillment currently offers a knowledge base, online support, and phone support. Not sure if Red Stag Fulfillment is the right fit for you? Read our reviews of all top order fulfillment services providers.